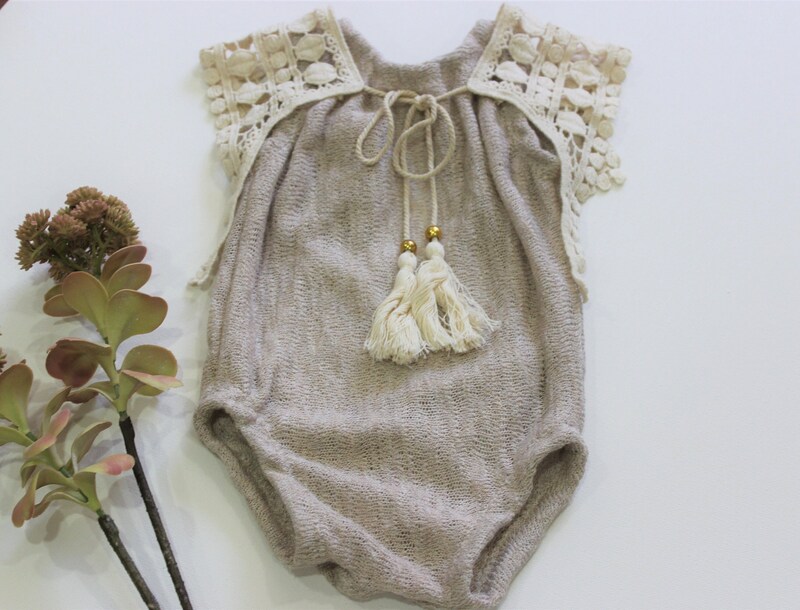 Taupe Knit Specialty Boho Romper. 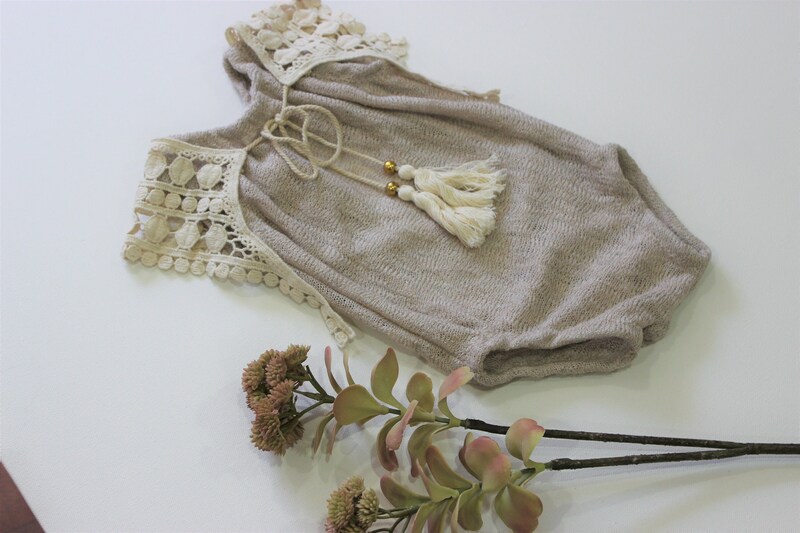 This romper has crochet lace appliques on the top of the shoulders. There is also adjustable ties in the front that has 2 tassels with 2 gold beads on them. 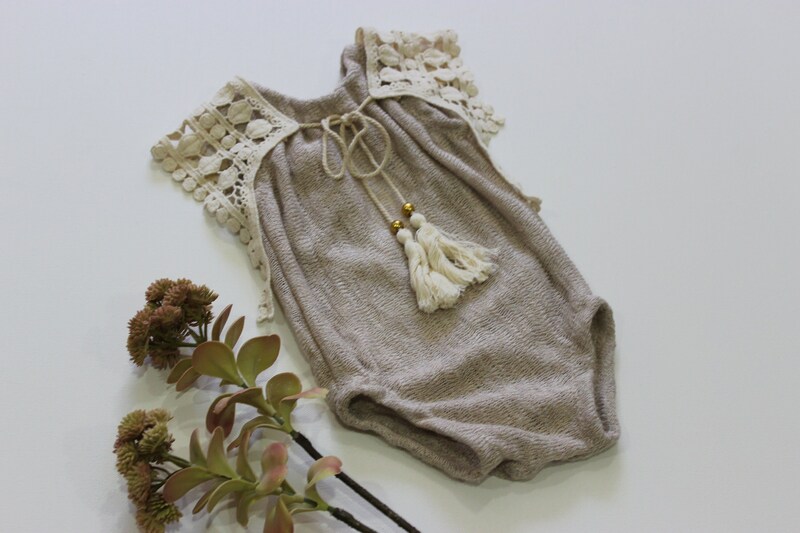 The back of the romper has sari ribbon to close the back. The elasticity of the fabric is very high and a great quality! Which is amazing when trying to accommodate multiple sizes and when little ones grow. 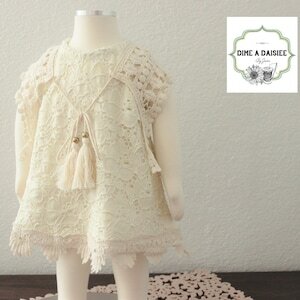 -The 2 beads on the romper are sewn placed on the tassels securely. 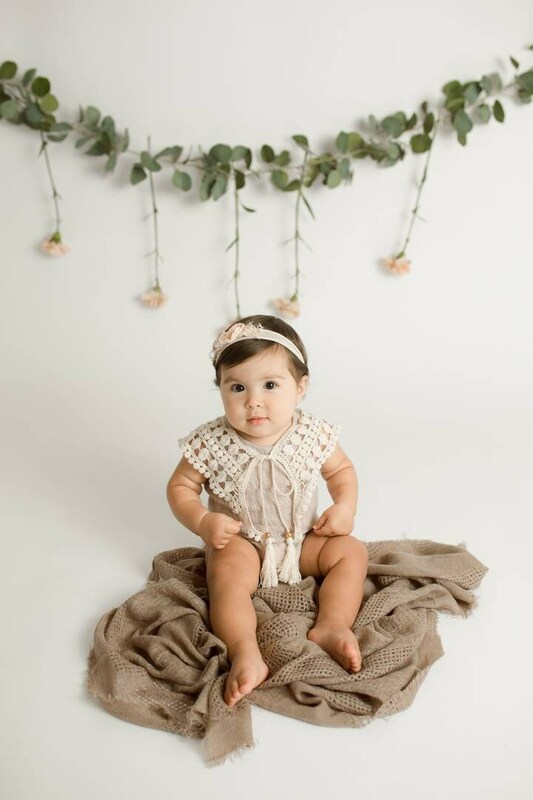 As the romper is used and loved beads may get loosened. If you see this happen please secure or remove the beads to avoid your child from trying to swallow them. Good quality, exactly as pictured and quick response for all my queries. Very happy with it! Oh this is SO CUTE! 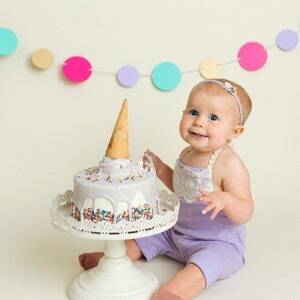 I cannot wait to use it on the baby girls who come to my studio! OMG this outfit is my most favorite (just at the moment) until Jaime comes up with her next design! 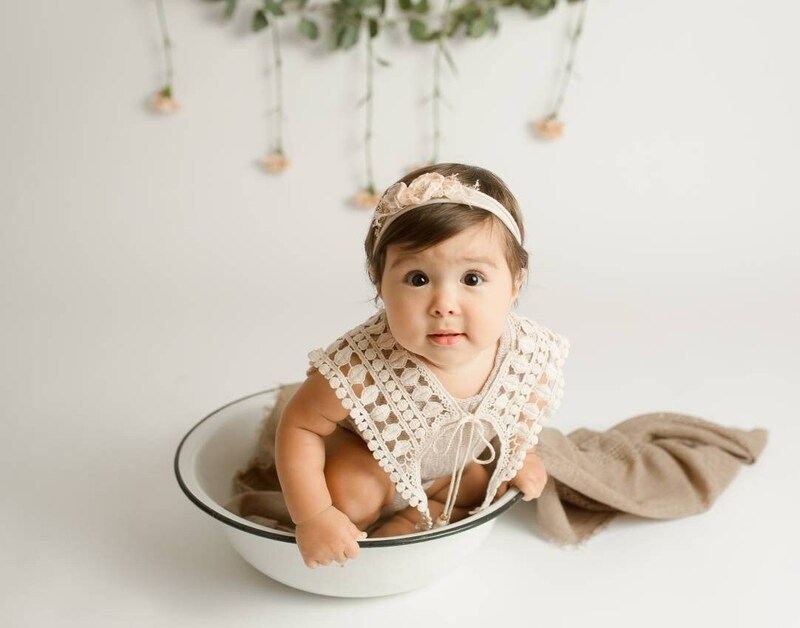 I used this on a Sitter and it was stunning quality and just the cutest on her!